Few customer complaints are personal. Still, it’s human nature to feel attacked and react emotionally in these scenarios, especially when you’re actively trying to treat customers well. To keep your customer support team from responding with knee-jerk reactions, you need a system in place to handle negative feedback consistently, coherently, and objectively. This is the response road map. You need a defined, step-by-step process for listening and responding to complaints. This system also provides guidelines for complaint triage and response. It determines how to find complaints, who will respond to them, how quickly issues will be addressed, and what to communicate during different complaint scenarios. It contains variations by channel and intensity of complaint to ensure mild phone complaints are handled differently than urgent and angry Twitter complaints. These days, customer service is a spectator sport. When the Wyoming Office of Tourism faced social media complaints about rodeos and national park animal welfare, it struggled to deal with such public criticism. 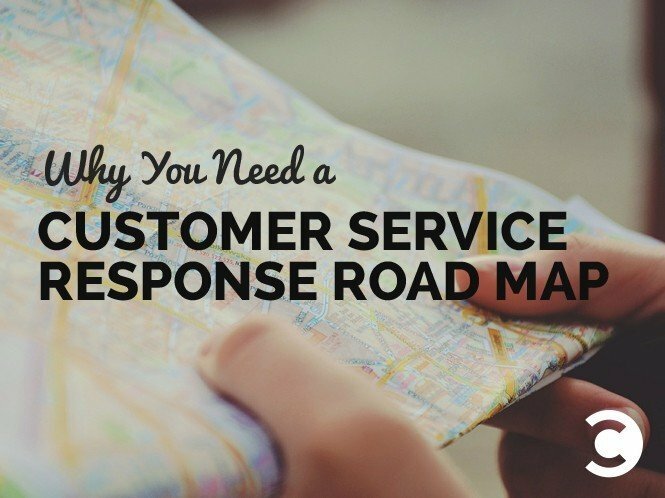 By using a response road map, its social media team learned how to quickly handle each complaint and decide which response protocol to use in each situation. In the digital age, speed is everything. According to Edison Research, 32 percent of social media-savvy customers expect a response from your team within 30 minutes, and 42 percent want to hear back within the hour. Fifty-seven percent expect that same response time on weekends and after business hours as well. Criticism is painful, but you need to seek it out to make your system comprehensive. Document all of the channels where you find and field complaints—from Yelp to social media to snail mail. Consider using advanced software such as Geofeedia (which surfaces social media posts based on location, even if they don’t mention you specifically), or tools like New Brand, which specializes in review site responses. You know who responds to your phone complaints, but what about your one-star TripAdvisor reviews? How about haters on discussion boards? Determine exactly who finds complaints on each platform, and figure out who within your organization will respond to each channel at each intensity level. With public, online complaints steadily increasing, it’s easy to feel like you’re being attacked from all angles. When your company handles these issues with dispassionate finesse, however, these haters aren’t the only ones who see your efforts. Future customers who view your responses learn how well you deal with people. It gives them one more reason to start dealing with you.